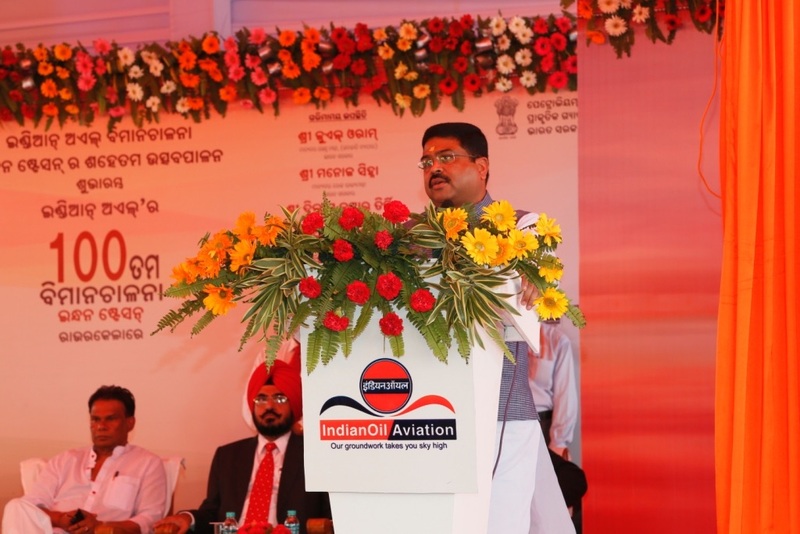 Rourkela, 5th March, 2016: India’s downstream petroleum refining and marketing major Indian Oil Corporation’s 100th Aviation Fuel Station (AFS) at Rourkela in Sundergarh district of Odisha was inaugurated today by the Shri Dharmendra Pradhan, Hon’ble Minister of State, Independent Charge, Ministry of Petroleum & Natural Gas, at a function held in Rourkela on Saturday, 5th March, 2016 . Present on the occasion were Shri Jual Oram, Hon’ble Union Minster (Tribal Affairs); Shri Manoj Sinha, Hon’ble Minister of State (Railways) and Shri Dilip Kumar Ray Hon’ble MLA (Rourkela) and other dignitaries including Shri B.S. Canth Director (Marketing), Shri T.S. Khwaja, Executive Director (Aviation), Shri Gautam Bose, Executive Director (RS), Eastern Region from IndianOil beside others. Speaking at the inaugural function, Shri Dharmendra Pradhan emphasized that this indigenously developed AFS is in line with the “Make In India” initiative by the Government of India. Shri Pradhan stated that Rourkela AFS will contribute immensely towards the development of the state, particularly Western Odisha. He mentioned that this facility, will serve the backward areas by connecting them to the mainstream. This is in line with the Honorable Prime Minister, Shri Narendra Modi’s vision of “Sabka Saath, Sabka Vikas”. He stated that post-independence, Odisha has now started to get its deserved recognition, and in few years time will be counted as one of the top industrially developed States of India. Shri B S Canth, Director (Marketing) Indian Oil Corporation Limited stated that this AFS is the 100th AFS in India and 2nd in Odisha. 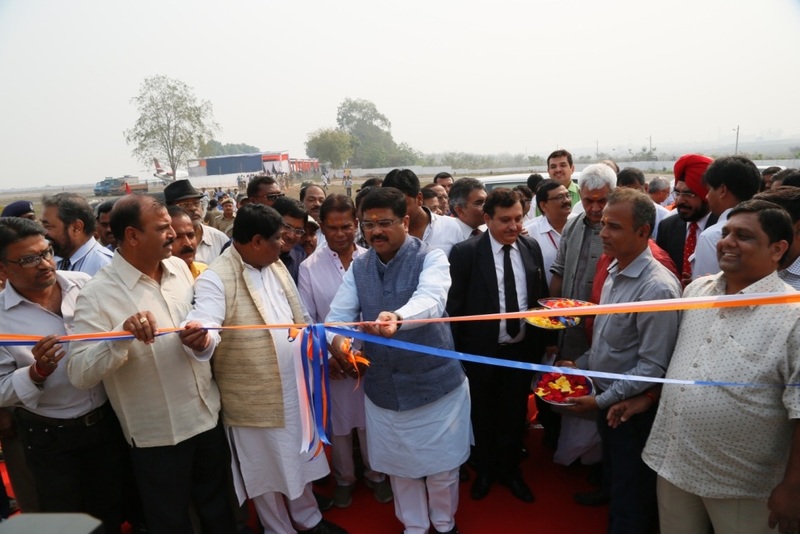 IndianOil has ushered in a new impetus to the economic development of this entire region through the inauguration of the Paradeep Refinery, similarly the Rourkela AFS would started contributing to the economic development of Rourkela and the entire region. Highlighting the salient features of the Rourkela AFS, Shri Canth said that this particular AFS has been installed at one fifth of the cost of a full-fledged AFS. He added that this new AFS will encourage other commercial aircrafts to refuel and operate from Rourkela thus making it a new commercial hub in eastern India. At present, private operators with helicopters and smaller aircraft operate from Rourkela airport with current estimated fuel volume of 25 KL. 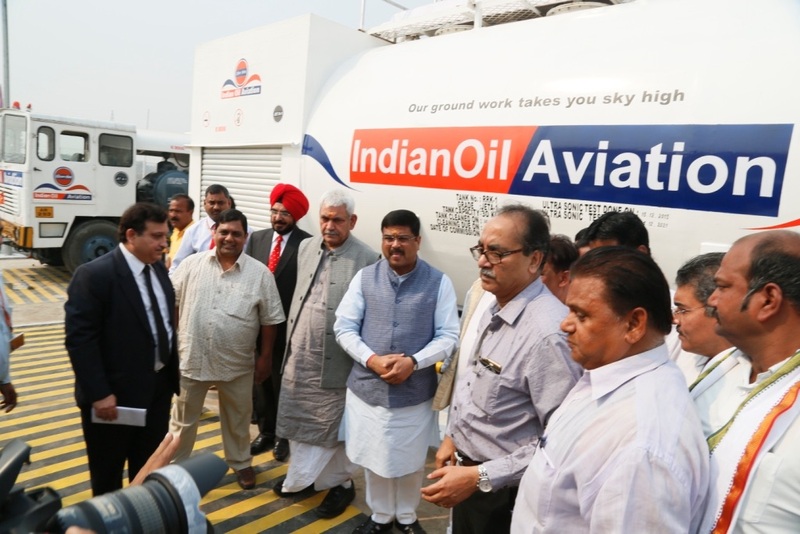 On account of non availability of Aviation Turbine Fuel (ATF) at Rourkela, aircraft operating through Rourkela, were being refueled from nearby airports like Ranchi (225 km), Jamshedpur(303 km), Bhubaneswar(320 km), Raipur(450 km), Nagpur(602 km) or Gaya (419 km). With the inauguration of the Rourkela AFS, these aircrafts can now be refueled at Rourkela, paving the path for more aircrafts to operate and refuel at Rourkela. Shri Manoj Sinha, Hon’ble Minister of State (Railways), Shri Jual Oram, Hon’ble Union Minister (Tribal Affairs) and Shri Dilip Kumar Ray, Honorable MLA (Rourkela), congratulated the IndianOil employees for their arduous efforts for completion of the project, and hoped that this AFS will pave the way for larger commercial operations from Rourkela Airport in the near future and will aid in the overall development of the region.